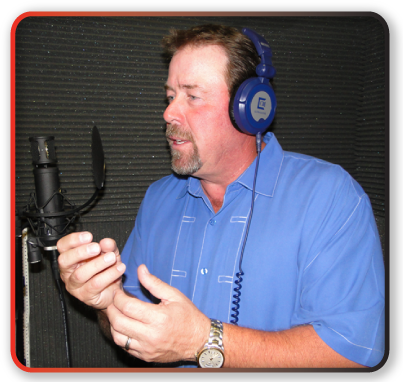 Bryan is a voice over performer based in Frisco, TX, a suburb located about 20 miles north of Dallas. Bryan provides versatility with his voice, offering styles from warm and friendly to over the top, and everything in between. Whether you need a voice for a TV or radio commercial, a training video (and other types of industrial presentations), or a promotional spot, Bryan can convey your message with a delivery that will help you achieve the results you seek. Need a voice for an electronic game, or maybe some software? What about narration, announcing, animation, or website VO? Well, you get the picture. Listen to Bryan's audio sample clips, and if you would like to receive a copy of his demo on CD, please click on the GET A DEMO tab. If you would like to book Bryan for your project, just click on the CONTACT tab.